If you’ve lived in Dallas/Fort Worth for awhile, you’ve endured your fair share of strong storms and harsh weather. One unfortunate result: damage to your trees, plants or property. 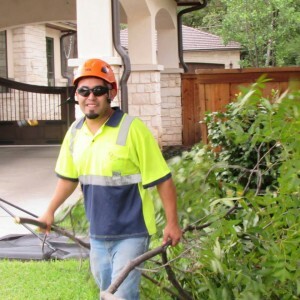 If your home or business has been affected by high winds from a thunderstorm or tornado, we are here to help with all of the cleanup, from branch and tree removal to chipping debris. But, there are also several preventative measures you can take before the storm hits! A certified arborist at Integrity Tree Care can inspect your property and will make certain recommendations to prevent damage. For example, if a tree seems unsteady or lopsided, cables and braces can be installed to help it weather a storm better. He can also prune your trees that are in close proximity to power lines. 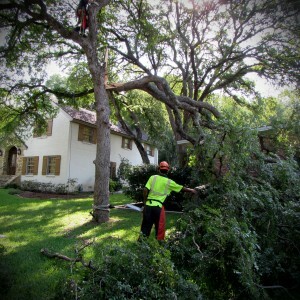 For quality storm damage cleanup in Fort Worth, Dallas or surrounding cities, contact Integrity Tree Care. We are proud to offer a high level of arboriculture expertise. Tree damage service is just one of our specialties! Don’t panic. If the tree isn’t causing a hazard, you don’t have to react immediately. Beware of scam artists, who often flock to a storm site. Contact a professional for help. Integrity Tree Care has two certified arborists on staff, and we’re proud of the skills we can provide our customers. Prepare your trees for future storms, with the help of professionals. Small broken branches or bits of torn bark: The tree should be fine in the long run. One major branch is gone from a mature tree: This is survivable. More than one major branch is gone: This could be a borderline case. Give it a little time before making a decision — and consult the help of a professional. The trunk is split or more than 50 percent of the crown is gone: Alas, there is no hope. The only part of the tree left is the trunk. Again, it’s a goner. 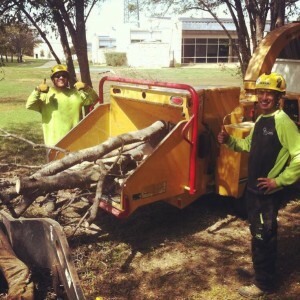 If you have questions about storm damage cleanup in Fort Worth and Dallas, we are here to help! Service for tree damage should be handled by a professional, and we will do everything we can to help preserve your trees.